Recent Advances in Constraints, Springer LNAI, Vol.2627, Springer, 2003. This workshop will co-locate two events: the seventh meeting of the ERCIM Working Group on Constraints, co-ordinated by Krzysztof R. Apt, and the first annual workshop of the CologNet area on Constraint and Logic Programming, coordinated by Francesca Rossi. CologNet is a European-funded Network of Excellence, which continues the role played by the CompulogNet network, which ended in 2001. The aim of this workshop is to constitute a forum where (mostly European) researchers on constraints can meet in an informal setting and discuss their most recent work. 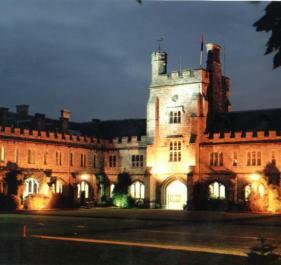 The location we chose this year is especially interesting, since the Cork Constraint Computation Centre is a new research centre, supported by Science Foundation Ireland and led by Eugene Freuder, which is entirely devoted to studying constraint processing. Thus the workshop participants will have a unique opportunity to see the centre, meet its members, and possibly start useful collaborations for the future. Krzysztof R. Apt, CWI, The Netherlands (k.r.apt@cwi.nl). This workshop will cover all aspects of constraint and logic programming, with particular emphasis on assessing the current state of the art and identifying future directions. Proposals for panels are also encouraged. The submission deadline is April 20, 2002. Please send an electronic version of the paper, in the form of a Postscript Level 2 or PDF file, to b.osullivan@cs.ucc.ie using the subject line ERCIM Workshop Submission. Authors will be notified of acceptance/rejection by May 5th, 2002. Camera-ready version is due May 20th, 2002. Depending on the sufficient number of high quality submissions, the organisers plan to publish selected papers in a special volume in an appropriate book series or a special issue of a journal. There is no registration fee. Particpants are asked to register for the workshop before May 15th 2002 by sending a message to Barry O'Sullivan. The workshop is open to all and not restricted to ERCIM or CologNet members. Details on accomodation are available. Also information on the location are also available. Some scholarships will be available to help students with travel expenses. Students who need support should indicate this when submitting their papers.